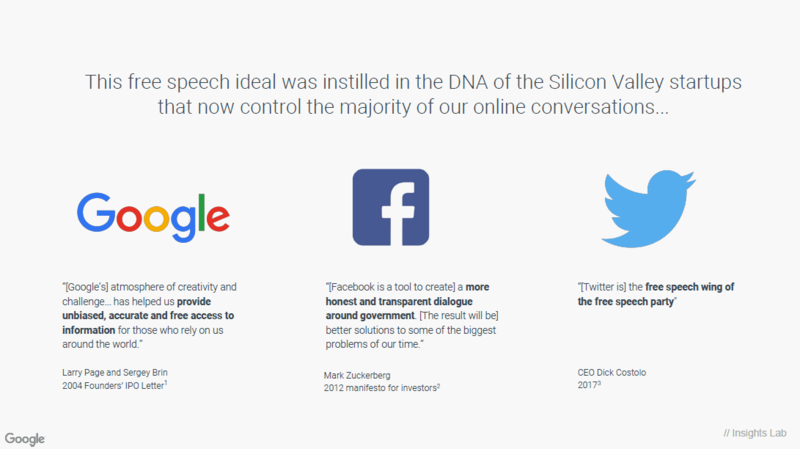 An 85-page briefing entitled “The Good Censor”, exclusively leaked to Breitbart News from within Google, acknowledges that Breitbart News is the leader in conversations around free speech. 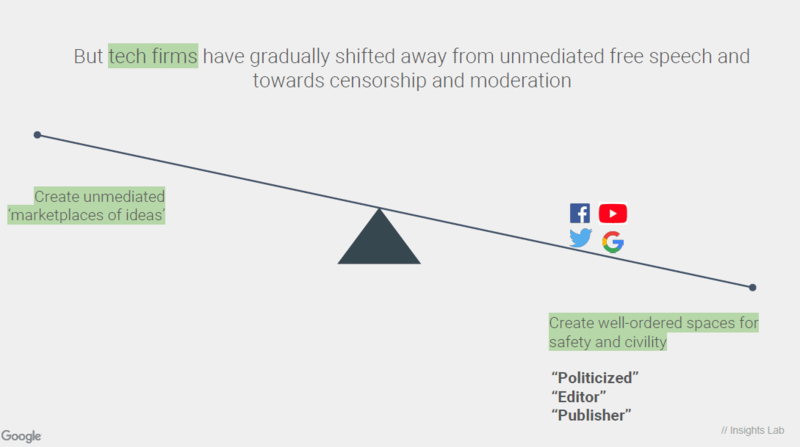 The document acknowledges that tech platforms including Google have shifted towards censorship in recent years, moving away from their original commitment to the American tradition of free speech. 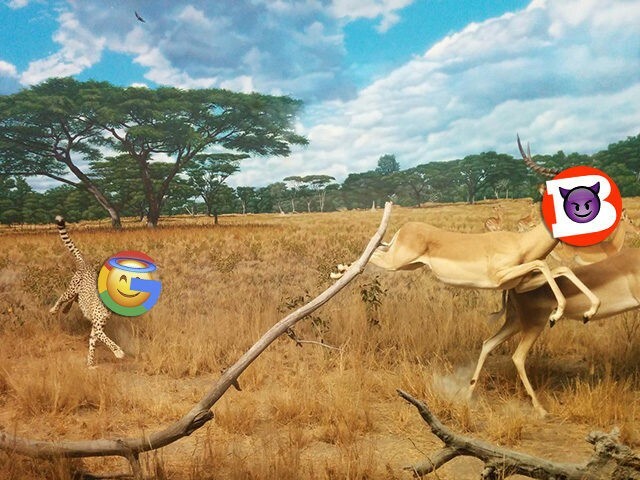 It can be read in full below. 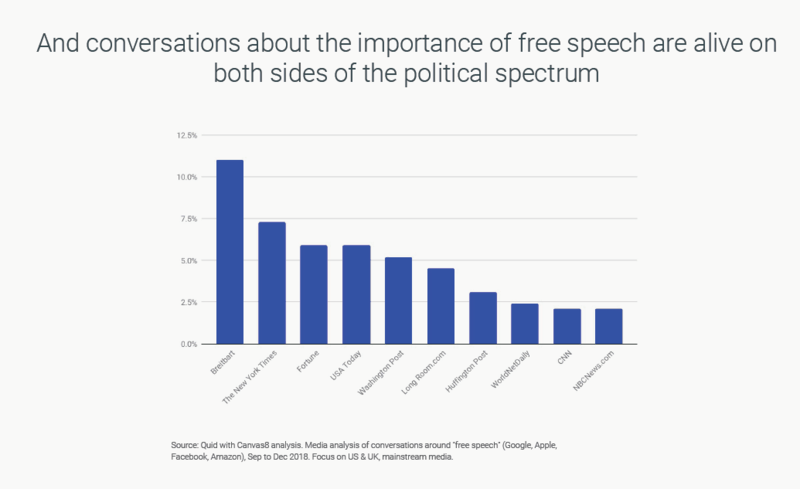 While branding free speech on the web a “utopian principle,” the briefing acknowledges that concerns about free speech are growing, particularly in the United States, due to the country’s first amendment culture. Page 11 of the briefing also singles out Breitbart News as the number-one destination for content focusing on the issue of free speech, with establishment broadcasters CNN and NBC languishing in last place. Despite this initial promise, the briefing later acknowledges that these companies have reneged on it, and shifted towards censorship.